Because coffee is a seasonal fruit, the source of our coffees changes periodically. Check this page often to see which brews we are now serving. Enjoy our seasonal brews chilled and hot. 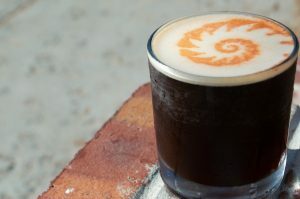 Synthesis is an excellent, "roasty" coffee by Ceremony in Annapolis. With flavor notes familiar to long-time coffee drinkers such as cocoa, toasted nut, and dried fruit, Synthesis is roasted and brewed carefully to avoid unpleasant bitterness common to dark roast coffees. 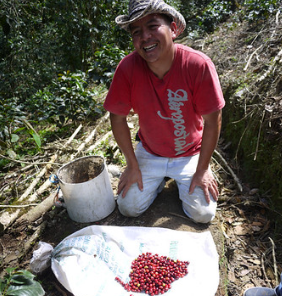 Although it's origin changes seasonally, Synthesis is currently grown in Colombia. This coffee is from the Kirinyaga district of Kenya. 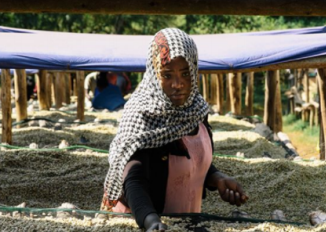 It is very approachable for a Kenyan coffee, and although it does have a slightly higher acidity than the Ethiopian coffees from earlier this year, it's balanced with a lingering sweet finish and notes of blackberries and honey. This very special coffee was grown by Jobneel Caceras Dios in Honduras, and roasted in Oslo, Norway by Tim Wendelboe. Mr. Wendelboe has been purchasing coffee from this farm for many years, working with Mr. Dios to incrementally improve the quality of the coffee. This particular lot is 100% Pacas varietal and is very juicy! This coffee is roasted lightly in the Nordic Style to bring out the acidity, sweetness, and floral intensity present in the coffee fruit. Once flash-brewed and infused with nitrogen, the coffee exhibits sweet notes of fresh apples and cherries.